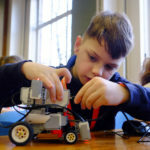 Over two days in January, Year 5 students from Teversham CofE VA and Fen Ditton Primary School were invited to get hands-on with STEM at the University of Cambridge Department of Engineering and discover robotics and electronic engineering. 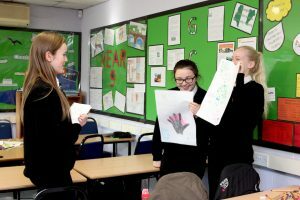 The events aimed to introduce STEM subjects in a new light and allow the students to develop new practical skills as part of the Cambridge LaunchPad programme, which is managed by Form the Future CIC. 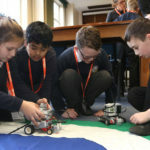 The students were challenged to use a LEGO Mindstorms Kit to build and programme a robot that could successfully move around a floorplan of a zoo and visit as many animals as possible. The day started with an introduction to the Mindstorms software and learning some of the robot’s capabilities, including playing sounds, recognising colours, pushing Lego bricks and even doing doughnuts! One Year 5 student at Teversham Primary School enjoyed the challenge of using the software. Outreach officer Maria Kettle was on hand during the day to support students using the Mindstorm kits. Students were tasked to code and test their LEGO Mindstorm robots. At the end of each day, every team was challenged to see if their robot could navigate the course. 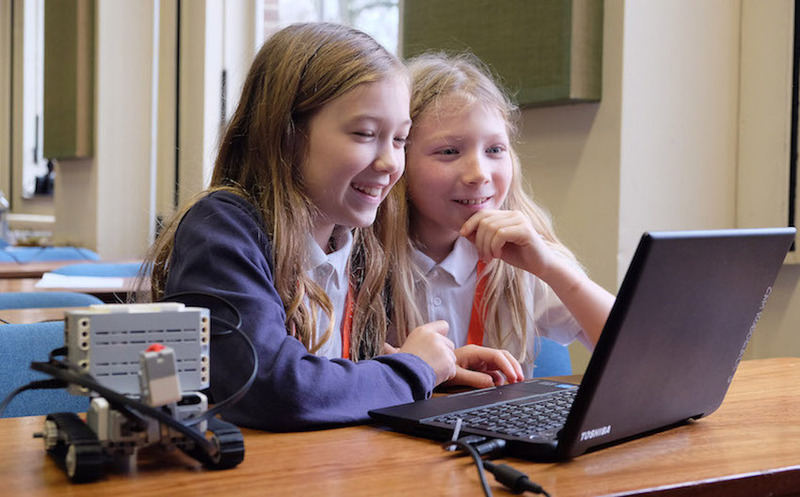 Learning to code can help young people to think creatively, problem-solve and work well in a team – all core values within the Cambridge LaunchPad programme. The eight students that best demonstrated these skills were selected to attend a prize trip alongside Year 4–6 students from other schools that are taking part in Cambridge LaunchPad this academic year. Maria Kettle, Outreach Officer at the University of Cambridge Department of Engineering, shared her experience of STEM outreach activities. By introducing students to inspiring role models who are passionate about their careers and break gender stereotypes, they will be able to see that certain industries, like engineering and technology, can be accessible and offer a diverse range of job opportunities. Molly Askham, STEM Outreach Events & Marketing Co-ordinator at Cambridge LaunchPad, want to inspire young people to embrace the challenge. “We are thrilled to have the University of Cambridge Engineering Department on board with this year’s programme. The students from both schools displayed great enthusiasm and resilience when faced with solving problems. By using the Lego coding that allows students to start with the basics and build upon their software, hopefully we can show them that STEM subjects are not always as complicated as they may appear.